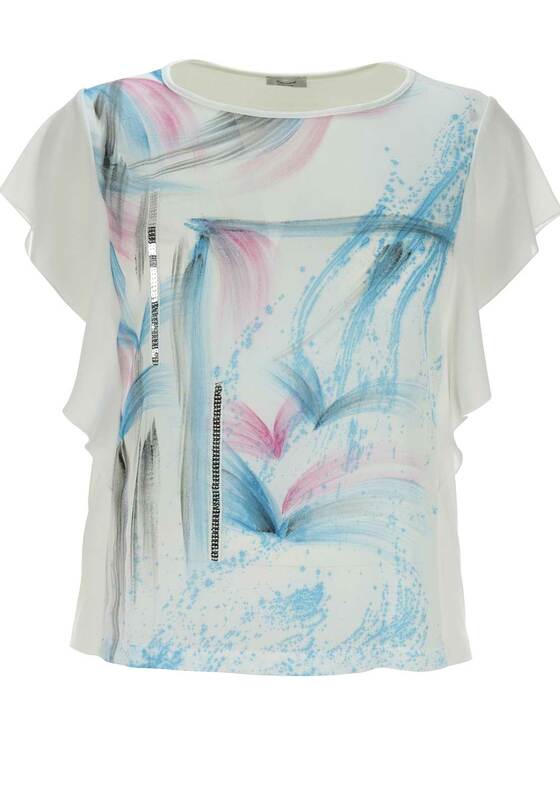 This charming short sleeve top by Personal Choice would be a lovely choice to wear with a variety of jackets for day or evening. 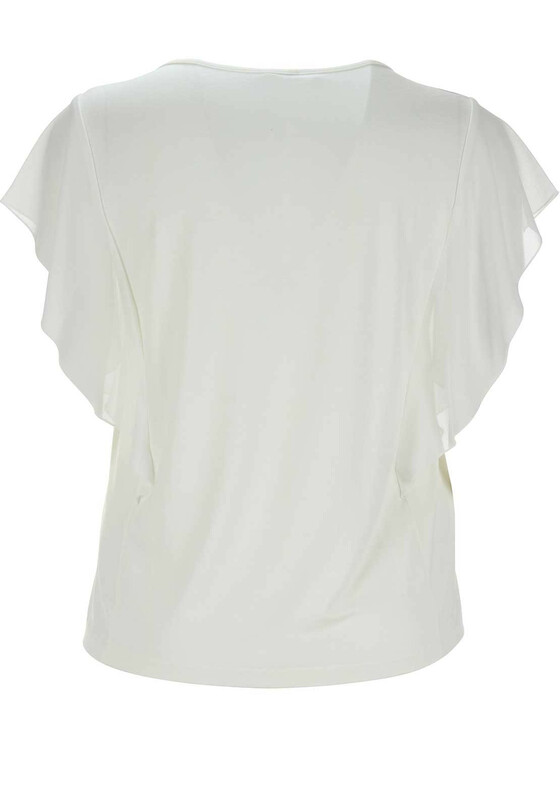 The back is made from soft jersey fabric while the front and sleeves are crafted from lightweight chiffon with a ruffle trim at the sides. 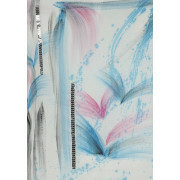 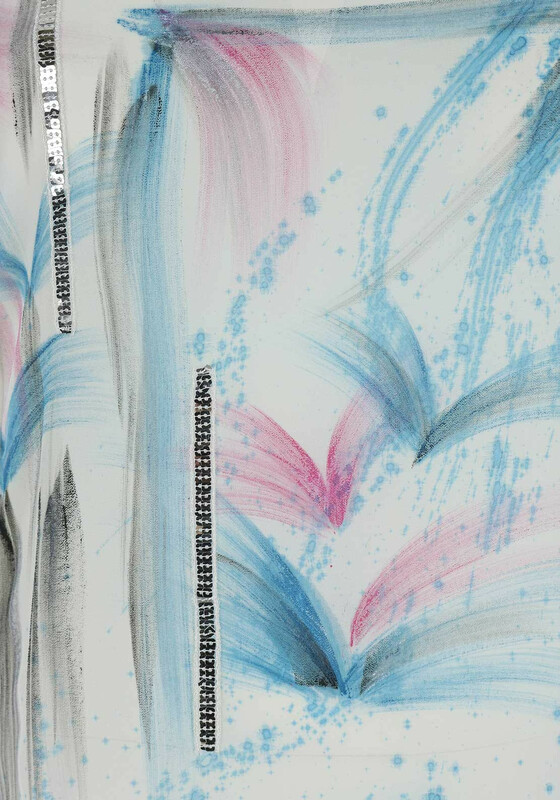 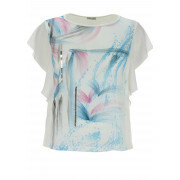 A pastel toned brushstroke print and dazzling sequin embellishment completes the look.